While you were busy mourning Prince last week and playing “Purple Rain” for the 50th time, Billboard announced a new No. 1 single on its flagship Hot 100 chart. On the surface, “Panda” by Desiigner couldn’t have less to do with the purple god of self-contained, self-powered musical creativity. It’s by a neophyte Brooklyn rapper, simulating the sound of a more famous Atlanta rapper, and spitting over a beat created by a little-known British producer whom the rapper has never met. It is a stitched-together, brazenly inorganic-sounding record—a track, in every sense of that word, that you don’t so much sing or even rap along to so much as bump in the car. But there is a Svengali figure behind the rise of “Panda” to No. 1—and like Prince, who in the ’80s influenced countless state-of-the-art hits even when his name wasn’t on them, this man’s name is nowhere to be found in the credits. And also like Prince, this puppet-master thinks rather a lot of himself: Kanye West. Mind you, Desiigner only signed to West’s G.O.O.D. Music label in February, after self-releasing “Panda” in December. The track debuted on the Hot 100 in early March, one week after Rihanna and Drake took over No. 1 on the chart with “Work.” Two months later, “Panda” is the giant-killer that ejected “Work” after the latter’s nine-week run on top of the chart (the second-longest No. 1 run of Rihanna’s career). What accounts for this fast rise by a debut single, from a dude so new to the rap game he could probably barely afford a used Corolla, let alone a Bimmer? What’s remarkable about “Panda” is how fast it shot to the top of the charts at a time when spacey trap anthems generally don’t go to No. 1 unless they’re sung by Katy Perry. As recently as late last year, few even in rap circles knew much about Desiigner, born Sidney Selby III in Brooklyn’s Bedford-Stuyvesant neighborhood just 19 years ago (which makes him barely old enough to remember when Bed-Stuy was “do or die”). Though the song materialized on SoundCloud in December, it was based around a beat that had been kicking around since 2014. That “gritty and gory” backing track was created by Manchester, U.K., native Adnan “Menace” Khan, himself a neophyte striver who boasts at the start of his track that he’s “the hottest producer with the hottest beats on the net” but sold this beat to young Brooklynite Selby last year for just $200. Menace’s infectious, thumping track, punctuated by claps and snare hits, was punched up by Desiigner with chopsocky-style yelps and machine-gun-fire–like trills. As for his actual rapping, one thing you can say for certain about Desiigner: He sounds like the future. Sorry, I misspoke: He sounds like Future, the Atlanta rapper whose critically acclaimed, chart-topping, codeine-syrup–coated albums have redefined the sound of street rap in the last two years. From the very first line of “Panda”—“I got broads in Atlanta/ Twistin’ dope, lean, and the Fanta”—Desiigner seems to welcome the comparison, citing both Future’s hometown and his drug of choice. But the track’s gimmick is its translation of Future’s tortured-soul style into meme rap, the kind that spawns a thousand dance videos. Indeed, that could have been the fate of “Panda”—to become a Vine-powered hit like Bobby Shmurda’s “Hot N—a” or Silentó’s “Watch Me (Whip/Nae Nae),” each of which rode 6-second loops and homemade dance videos all the way up to the Top 10 but neither of which quite reached the summit. This is where Kanye comes in—and I’m not just talking about the G.O.O.D. Housekeeping seal that came with signing to West’s label. 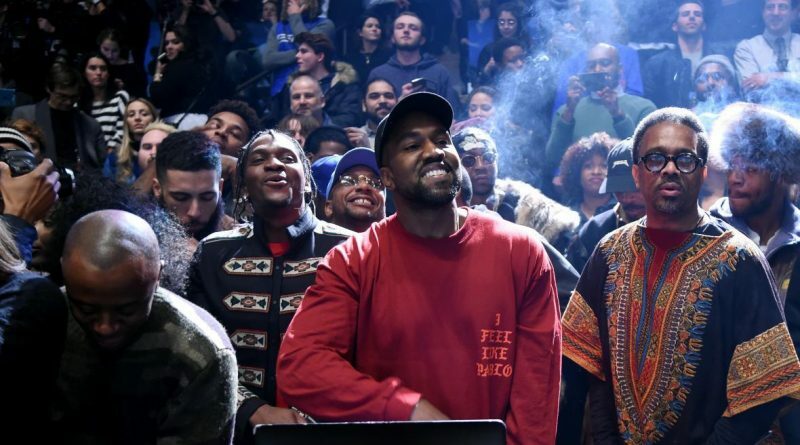 Ye paid his new signee the ultimate compliment by giving “Panda” a very prominent cameo on West’s latest album: the profane, destined-never-to-be-finished The Life of Pablo. Actually, cameo isn’t quite strong enough to describe the appearance made by “Panda” on Pablo. Ye basically borrowed the track wholesale, for a two-part song suite titled “Father Stretch My Hands.” The first half, “Father Stretch My Hands Pt. 1,” is a gospel-flavored meditation on romantic regret by West featuring rapper Kid Cudi, which then melds seamlessly into the second half. “Pt. 2” begins with barely 40 seconds of West rapping before he gives over the bulk of “Pt. 2” to “Panda,” largely untouched. It doesn’t even feel accurate to call the bite a sample—West essentially lets “Panda” play straight for a full minute, before cutting back to a typically oddball Kanye ending: some Laurie Anderson–by-way-of–Caroline Shaw processed vocals, and a recap of the early “Father Stretch” gospel vocals before the fade. And that was it, the sum total of Kanye’s buzz-building campaign for Desiigner: a 60-second spot slipped into the middle of his album. And yet, it worked like whoa. Two months ago it would have been a stretch to imagine Pablo generating any hits at all, given West’s general disinterest since 2010 in generating straight-up radio tracks; for the last half-decade, West’s few pop hits have largely been one-off collaborations. Indeed, when Pablo finally received its “official” release in early April and topped the album chart, several of the album’s tracks made brief appearances on the Hot 100, but none higher than the mid-30s. With “Panda,” West has moved even further down the continuum from hitmaker to hit-willer-into-being, a musical elder statesman who, Warhol-like, knowingly signs his name to others’ work. Who would have guessed Kanye West’s album would spawn a No. 1 hit that’s not even by Kanye West? Could “Panda” have become this big a hit without the Kanye bump? It’s impossible to say, but the recent chart history of street-level rap meme hits suggests Desiigner would have had a tough row to hoe on his own. Fetty Wap’s “Trap Queen,” the most streamed song of 2015 (of any genre), managed to get to No. 2 on the Hot 100, and the aforementioned Silentó hit made it to No. 3. Ever since Soulja Boy scored the first real YouTube-powered No. 1 hit back in 2007 with “Crank That” (at a time when YouTube didn’t even count for the chart), chart-watchers like me have been expecting streaming to provide a consistently outsize boost to hip-hop on the pop charts. Nearly a decade later, “Panda” seems to be making good on that promise—if you think of songs like these as essentially mixtape cuts that go overground, you see how a medium like streaming is a boon to fast-breaking rap hits. With no official video and no album to call its own, Desiigner’s fluke hit is the ultimate hip-hop streaming-smash proof of concept. As a hit song, it may well be short-lived. But years from now, among Hot 100 No. 1s, “Panda” could well be remembered in a manner somewhat akin to Chubby Checker’s “The Twist”—as a signpost in the evolution of Billboard hit consumption.